NEW YORK--(BUSINESS WIRE)--HGTV celebrates the holidays with “Santa HQ,” an immersive experience that transforms the traditional visit with Santa Claus into a jingle-filled, interactive journey for all ages at 10 Macerich malls across the country. For more than six weeks, from Tuesday, Nov. 4, through Christmas Eve, Dec. 24, HGTV and Macerich will present a completely reimagined visit with Santa for the 21st century by pairing cutting-edge technology with an authentic holiday experience. Visitors can take an ELFIE selfie and star in their own holiday video, explore Santa’s Observatory using ELF-RAY Vision, test out the ‘Naughty O’ Nice Meter,’ and enjoy a memorable photo with Santa. Santa HQ will be featured at Macerich properties including Danbury Fair Mall in Danbury, Conn., opening on Nov. 4; Deptford Mall in Deptford Township, N.J., opening on Nov. 5; Vintage Faire in Modesto, Calif., opening on Nov. 5; Los Cerritos Center in Cerritos, Calif., opening Nov. 7; FlatIron Crossing in Broomfield, Colo., opening Nov. 7; Washington Square in Portland, Ore., opening Nov. 7; Lakewood Center in Lakewood, Calif., opening Nov. 7; Tysons Corner Center near Washington, D.C., opening Nov. 14.; Chandler Fashion Center in Chandler, Ariz., opening on Nov. 7; and Scottsdale Fashion Square in Scottsdale, Ariz., opening Nov. 14. Upon entering the magical structure, families can enjoy the wonder of Santa’s Workshop and Observatory by using innovative technology to customize their individual experience. Visitors can download the ELF-RAY Vision app or use a provided tablet to immerse themselves in the enchanting world of Santa HQ to see the night sky, the secret inner-workings of clocks and gears and to meet a playful pair of elves. By using their handheld device as a “portal,” visitors can see and interact with stunning digital scenes surrounding them inside Santa’s Observatory. Visitors can continue the adventure with a custom photo opportunity, followed by the ultimate moment with Santa inside his modernized sleigh. Visitors can reserve their experience time in advance via the Santa HQ website. 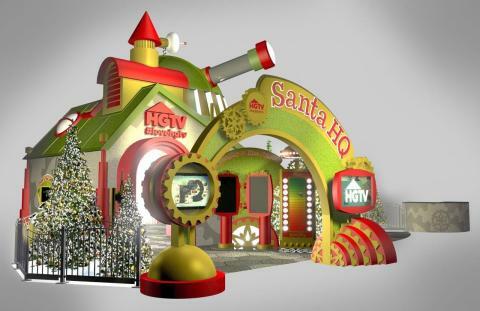 The innovative Santa HQ presented by HGTV at 10 Macerich properties also will be the setting for RCA Records’ lineup of talented performers spreading holiday cheer. A light show set to holiday tunes every hour of operation, upcoming live performance, and showcase of talent adds more music and merriment to the engaging holiday experience. 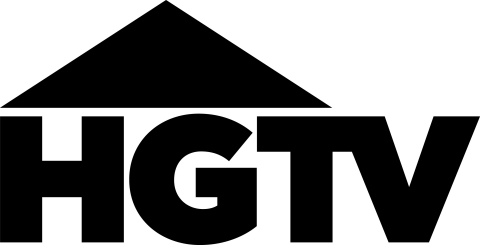 America’s leading home and lifestyle brand, HGTV features a top-rated cable network that is distributed to more than 96 million U.S. households and HGTV.com, the premier source for home-related inspiration, instruction and entertainment, attracts more than six million people each month. The brand also includes the HGTV HOME™ consumer products line which showcases exclusive collections of paint, flooring, lighting, furniture, plants, fabrics and other home-oriented products. For more information on HGTV HOME branded products and to find a retailer, go to www.hgtvhome.com. In partnership with Hearst Magazines, the HGTV Magazine, a home and lifestyle publication, is currently available on newsstands. Viewers can become fans of HGTV and interact with other home improvement enthusiasts through Facebook, Twitter, Pinterest and Instagram. Headquartered in Knoxville, Tenn., HGTV is wholly owned by Scripps Networks Interactive, Inc. (SNI). Macerich, an S&P 500 company, is currently celebrating 20 years on the New York Stock Exchange (NYSE: MAC). The Company is a fully integrated self-managed and self-administered real estate investment trust, which focuses on the acquisition, leasing, management, development and redevelopment of regional malls throughout the United States. Macerich currently owns 57 million square feet of real estate consisting primarily of interest in 53 regional shopping centers. Macerich specializes in successful retail properties in many of the country’s most attractive, densely populated markets with significant presence in California, Arizona, Chicago and the Greater New York Metro area. Additional information about Macerich can be obtained from the Company’s website at www.macerich.com. Pop2Life is an experiential marketing + music agency that specializes in branded entertainment, social experiences, and unique promotions that "go beyond." The company was founded in 2003 by former VP of Marketing & Promotion at RCA Records, Eric Murphy, who played a vital role in launching the careers of notable artists and bands including *NSYNC, Dave Matthews Band and Christina Aguilera. P2L works with some of the biggest media + entertainment brands in the world including Clear Channel Media + Entertainment, MTV Networks, HGTV, AMC, Cartoon Network, Dreamworks, Food Network, NBC and many more.